Certain calibers such as the 300 Winchester Magnum are often called flat shooting. What does that mean and why would a hunter care that the caliber is flat shooting when selecting a rifle to go hunting with? 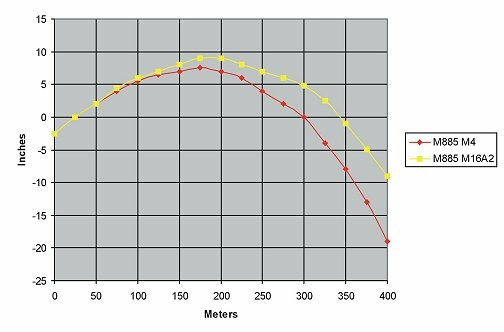 As you can see the yellow line is a bullet fired from a longer barrel which results in a higher velocity and thus less drop over distance. In this case the yellow line is a flatter shooting rifle. Cartridges that are regarded as flatter shooting have one or both of two things going for them, they are traveling at a much higher velocity to start with and or have a better ballistic coefficient resulting in less drag. See for example 6.5 Creedmore vs. 308 Winchester. What are opposite and opposed carabiners?